There goes summer – woof, watch it fly by – onto Autumn and cosy night with books, etc. I’ve felt quite out of the loop with the Big Summer Reads while I’ve been embarking on my reading of a selection of classics. Of course, I’ve rarely got my finger on the pulse of society anyway, but my recent reading has definitely transported me a good century from the present. If I start talking like a jolly spiffing old boy from the 1920s, you will forgive me won’t you, old sport? Strange how your perception of the present can alter if you immerse yourself too heavily in literature that transports you to a different time or space. It’s alright when you flit about various different unrealities but I seem to have been locked in the early twentieth century for a while. And let me tell you, this Great Depression is a right bother – and the politicians aren’t much better, left and right coming apart. At least the English cricket team has given those Aussies a ruddy good spanking now they’re back on British soil (if only they could do the same over in Oz). Ah, how life has changed – economic turmoil, political in-fighting, England winning the cricket – unimaginable in the halcyon days of this magnificent twenty-first century. Spiffing. Hmm, I’m not quite sure why I went off on that tangent, although it is interesting what happens inside the old brainbox when you’re stuck in a particular reading period. But enough of that, we’re all thoroughly modern people, we can’t be caught up in all this backward looking nostalgia (like boats pushed back against the current, to slip another Gatsby reference in). To the future and Henry James – oh, wait, that doesn’t work. 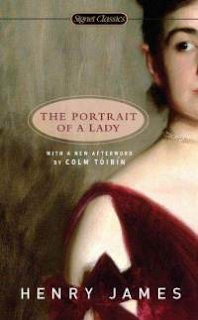 Nevertheless, I have manfully been soldiering through The Portrait of a Lady, appreciating more than enjoying, so I expect to write something about this in September so you too can share in this most gruelling of reading experiences. Lovely though James’s writing can be, in sum it can be slightly tiring – for me, anyway (slightly how I feel about Austen too, as it happens). Talking of Austen, I meant to read Persuasion in August but got rather bogged down in James. A pity, as that would have rounded off a good summer of Austen for me. But never the mind, I’m a good two hundred years behind the trend on that one so a few more months won’t hurt. I really need to get on with reading something a little more modern anyway, before I quite lose my mind and am trapped permanently in a strange state of faux-Edwardian discourse. Of course, there is Go Set a Watchman waiting tantalisingly for me. I must admit, after all of the press around it, I am inclined to hold off on reading it until I have had a chance to read To Kill a Mockingbird for one more time before my reading experience is inevitably and irrevocably altered by the shift in perceptions that Go Set a Watchman will bring about. I have been eyeing up The Watchmaker of Filigree Street by Natasha Pulley for a while so that might be my next port of call for something more modern (in terms of when it was written, at least). I’m flirting with some Philip Roth too – either Portnoy’s Complaint or The Human Stain – but I suppose we will have to see how September shapes up. Not least as I seem to be overflowing with things I want to write about at the moment and can’t wait to get started on a few of the ideas for short stories or potential novels to see how they take shape. Ah well, to be a busy Bibliofreak… have a lovely September all. Coincidence! I've just started reading Henry James recently. I know - I was on your blog earlier today! Shame we're not reading the same novel, then we could have compared notes. I'm struggling a bit - I think my mind needs something lighter, and quicker, to break up my recent reading. I've borrowed Portrait though. If nothing unexpected happens (for example, I end up hating this James book), I'll get to that one. Have you read Daniel Deronda? I've heard that one inspired Portrait. Excellent - you might well beat me through it as my mind keeps wandering, eyeing up alternatives. How are you getting on with your James? Yes - I can definitely see that. How I'm getting on? Fine. "Daisy Miller" is a wonderful story. You must read that one! If you haven't. I wonder if you know o at Behold the Stars? She also has some difficulty reading James, but prefers his short works (novellas, short stories) to his novels. That might be true for you too.